Religious Roots: BREAKING NEWS - Theses being defended! BREAKING NEWS - Theses being defended! Is anything happening here in RRE? The blog might give the impression that there's not, but of course there is. Actually, we have BREAKING NEWS. 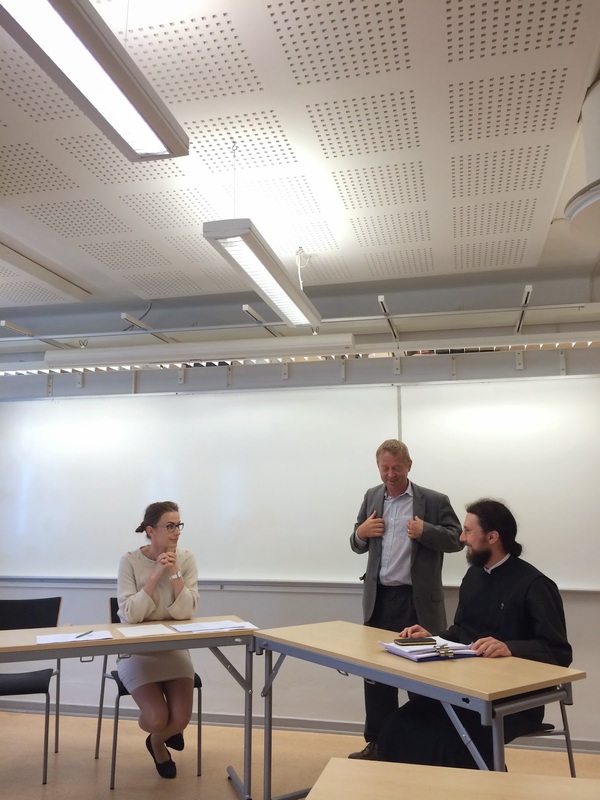 Right now, two students from Lund are defending their thesis. This morning we discussed the work of Avram Ginju with the title "Beyond the sacred text: the role of emotions in the Rabbinic and Patristic exegesis on Genesis 22". Right now we are to resume with Rasuole Baleisaite-Sabakoniene's thesis "Differences in the ascetic behaviour in the Sahih al-Bukhari and the Synoptic Gospels through the stories related to Muhammad and Jesus." Very impressive and an inspiration to all of us who will also write our thesis in the coming months or year! Fltr: Rasuole, professor Samuel Rubenson, and Avram. Introduction before the defense began. 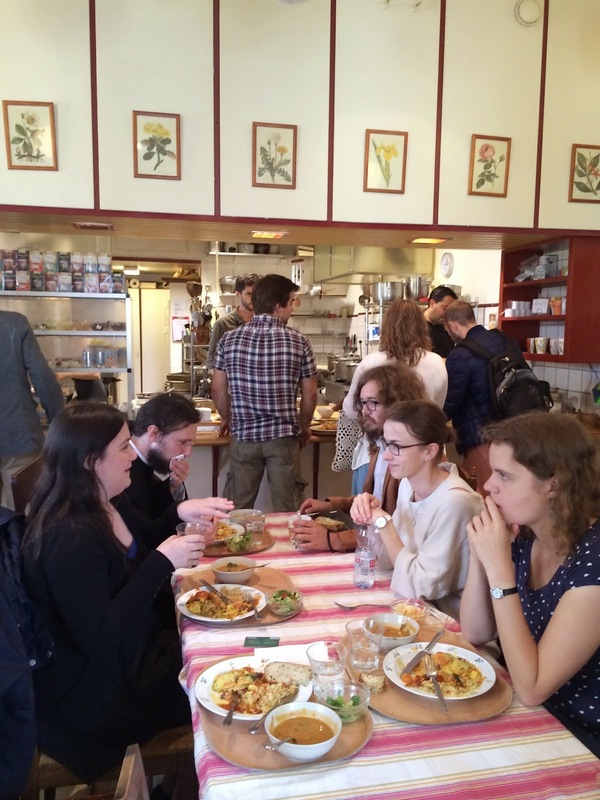 Communal lunch during the break between the two defenses at Govindas.